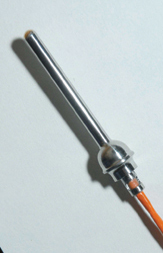 Minta spreads its wings as worldwide RR sub-contractors require top quality temperature sensors. Minta ramps up production as Trent 7000 engine development testing begins. Minta supplies RR with wide range of temperature sensors for Trent XWB-97K and Trent 1000-TEN flight engine test phase. Minta powers ahead as approved supplier for new Trent XWB Aero Engine development program. Minta® Temperature Sensors are to test the next generation of greener, cleaner and environmentally friendly engine concepts worldwide. Minta's involvement in Trent 1000 proves a huge success. Yet another successful story in Minta's long running involvement in all previous Trent Engine development programs including Trent 500, 700, 800 and 900. Minta continues to attract new international Aerospace customers due to their high level of quality and service. New supplier approval certification from one of the world's leading Aero Engine manufacturers. Minta works closely with Exostar during account upgrade to 'new' supply chain platform.